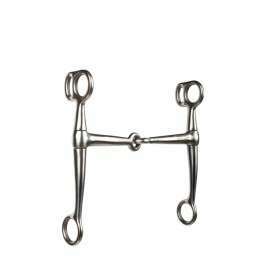 SaddleOnline carries a huge variety of western tack accessories that are sure to complete your saddle set! Our selections include headstalls, breast collars, breastplates, bridles, horse bits, tack sets, saddle pads, halters, girth cinches, back cinches, and more. Whether you are looking to bling out in the show ring, or just enjoy the pleasure trail riding, check out our Western Accessories on Saddleonline.com today and have your horse looking fabulous! 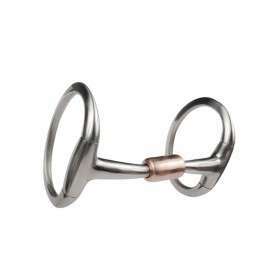 This versatile, loose jaw style bit is a true all-around training and show bit. The shanks are short and straight for a quick response when the reins are pulled back. 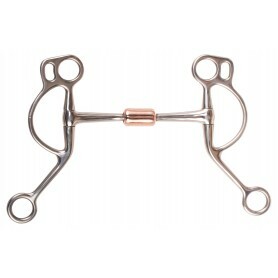 The French link mouthpiece has two joints that distribute pressure over the tongue and the bars of the mouth which does not interfere with the roof of the horse's mouth. 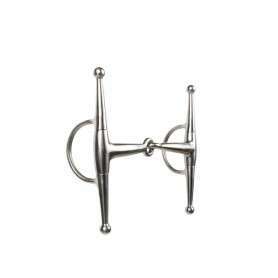 An excellent transition bit from the ring snaffle to the shanked bit. The shanks are slightly turned back making a bit that is more forgiving. 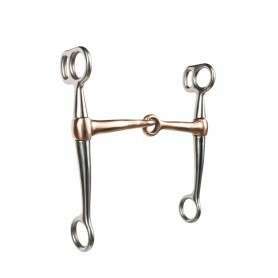 This versatile, loose jaw style bit is a true all-around training and show bit. 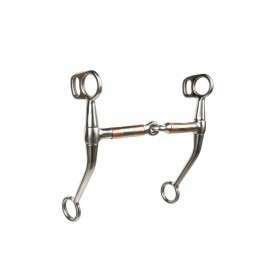 The shanks are short and straight for a quick response when the reins are pulled. 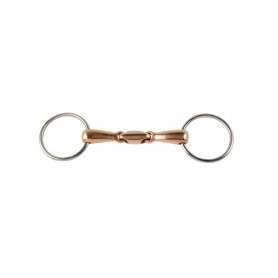 The walking horse bit is designed to allow the gaited horse to travel more forward during their gaits and aides in providing more collection for your horse. 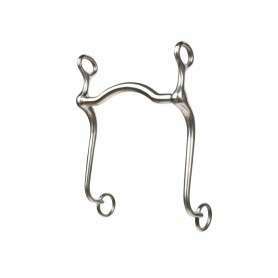 This eggbutt snaffle bit features a mouth piece made out of high tech plastic that makes the bit more soft and gentle for your horse, making the bit easier for horse acceptance. 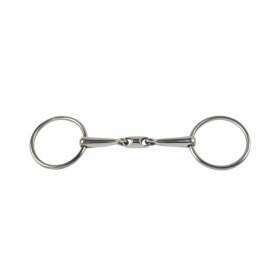 This bit is an excellent transition bit from the ring snaffle to the shanked bit. The shanks are a little longer than the Tom Thumb and slightly turned back making a bit that is more forgiving. 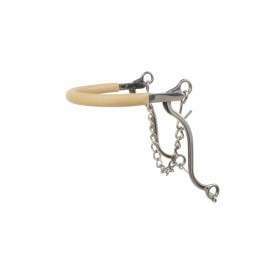 The hackamore is very useful for a horse that may have a sore or sensitive mouth and will help aide in pulling back the reins for added stopping power. The rubber covered noseband provides comfort while commanding attention to the horse. 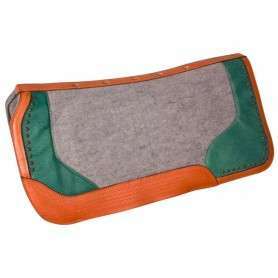 This western contour felt saddle pad features jade green accents with a filigree design. Ventilation holes and a two piece construction ensures your horse stays cool and comfortable for only $64.99 for a limited time!